Winston threw for 363 yards, the most of his career. 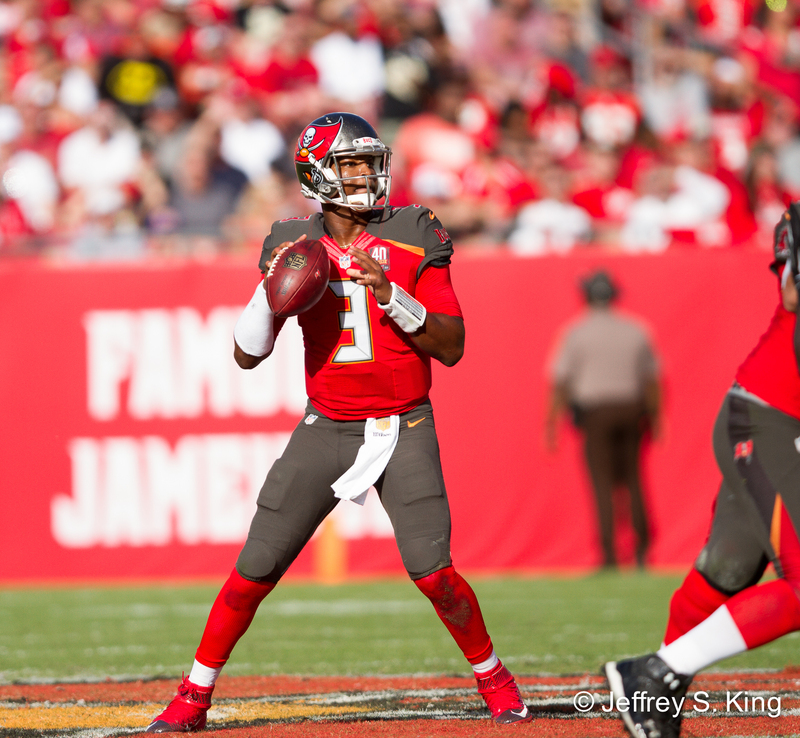 Jameis Winston threw for a career-high 363 yards. The Bucs' secondary, however, gave most of them back. Doug Martin took over the NFL rushing lead. Penalties offset a lot of his efforts. Mike Evans caught more passes than at any point in his career. But dropped passes by his teammates left the Bucs shaking their heads. What disturbs me even more than their performance is the continued immaturity, boneheaded displays of “look at me,” and lack of discipline. Coming up on week 15, there is no excuse and this is on the coaches and the so-called veterans in the locker room. This team is the poster child for the wave of self-aggrandizement and selfish behavior that now epitomizes the NFL. …and much of life, right? Next post: Ask Gary: Who controls the Bucs — Smith or Licht?